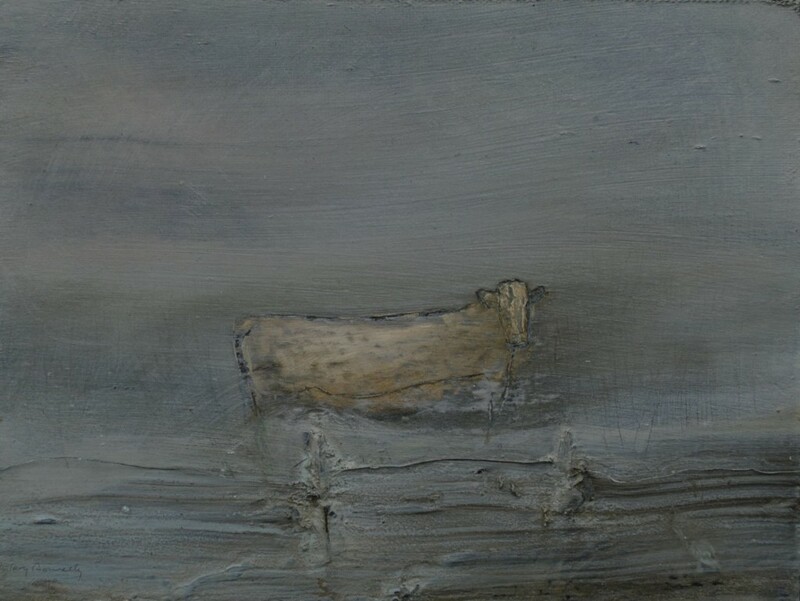 Mary Donnelly has lived and worked as an artist in Connemara for most of her adult life. She has received many accolades throughout her career, among them the Oriel Gallery Award for a landscape of distinction at the Royal Hibernian Academy in 2004. She also received the prestigious Pollock-Krasner Foundation Grant in 2013 and she has had solo shows in Dublin, Australia and New York. Her most recent show was in the Paul McKenna gallery in Omagh last autumn. Originally from County Louth, Mary uprooted her painting studio from Dublin’s Temple bar in 1991 in search of a new landscape. 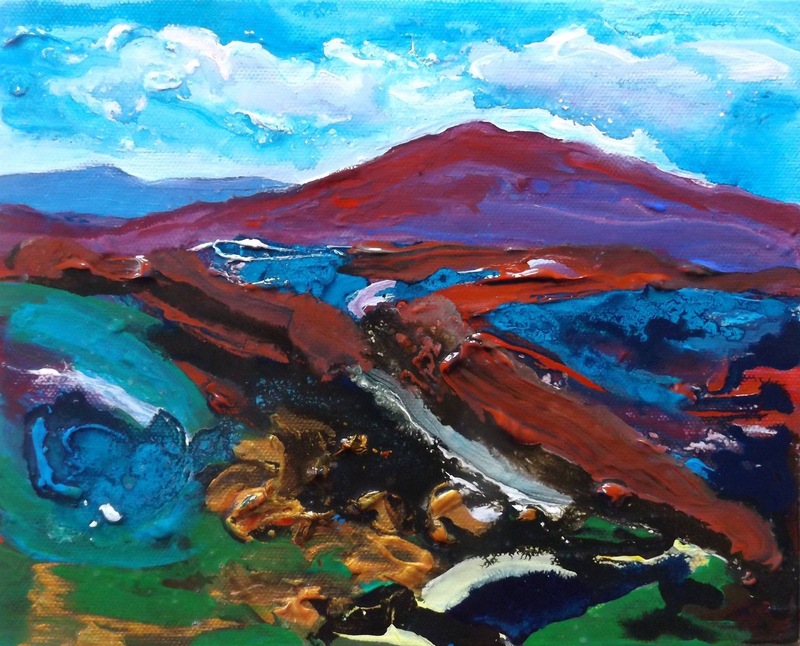 She found in Connemara ‘a place of extreme weather and sublime beauty,’ conditions that would combine to feed her artistic practice here for the next quarter of a century. Mary takes her inspiration from the contours of Connemara, often seeking out quieter places – a small copse or field, rather than the dramatic mountainous peaks you might usually associate with the West of Ireland. Mary describes her landscapes as ‘groundless’ and many appear to exist without a distinct skyline or depth of field in the traditional sense. 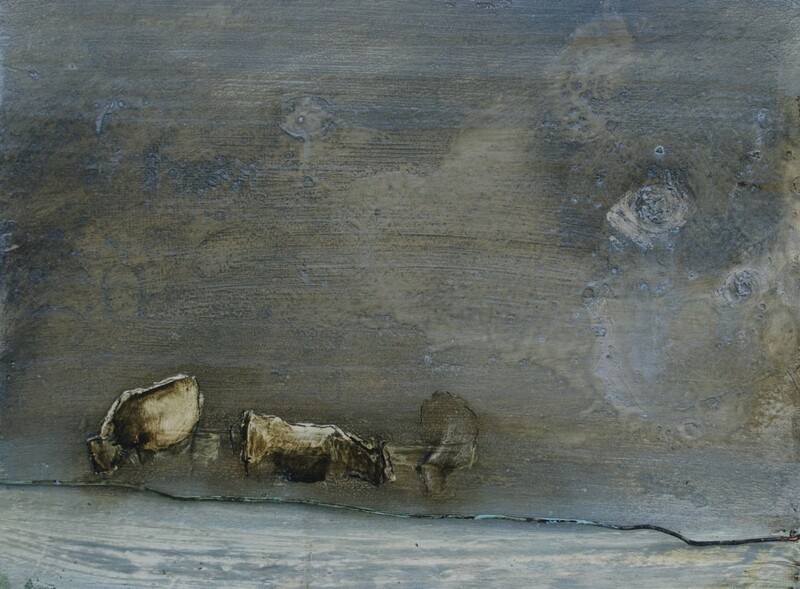 More significant for Mary is the metaphor this provides for an exploration of the transcendent nature of landscape. She views the line of the horizon as a sacred place where Heaven and Earth come together. The surface of her paintings appear suffused with a silvery light, the half-light of winter, Mary’s favourite season of the year. It is under this delicate film, that the land and it’s timeless mysteries are revealed – the hidden furrows of another era or the gentle arch of an animal grazing, as animals have grazed here for centuries. In some paintings, the activity of man is evident in the form of a telegraph pole or the faint outline of a building, but it is always unobtrusive. Others paintings contain an object within the work – a wire strung across the canvas might indicate a fence. Mary explains that the external nature of the additional material may serve as a gateway or threshold for the viewer. Other artistic influences include the sepia water colours of Victor Hugo, the light filled landscapes of J.W.M. Turner and the work of contemporary American artist Lawrence Carroll.